There are numerous reasons to journey to the Palm Springs area -- the sophisticated-yet-chill vibe, the stunning mid-century modern architecture and landscaping, gorgeous deserts, and evolving food, hotel and art scenes -- but one of the best is a chance to pay a visit to the classic, old-school Palm Springs that earned it the nickname "Hollywood's Playground." The first Palm Springs hotel opened in 1886, but the area became a favorite getaway for Southern Californians beginning in the 1920s, when Hollywood stars like Charlie Chaplin, Rudolph Valentino and Clara Bow flocked to the desert enclave for relaxation, recreation and privacy. Removed enough from Los Angeles to give a sense of escape, it was a mere two hours away if the likes of Louis B. Mayer or Jack Warner summoned you back to the studio for a reshoot. If you'd like to explore Palm Springs through the lens of the Golden Age of Hollywood, you can visit anytime, but Greater Palm Springs Restaurant Week. running through June 12, is a delicious excuse for making your way to the desert. Over 100 attractions, restaurants, and hotels are participating, offering three-course prix-fixe menus at $28, $38 and $48, and several of them have ties to classic Hollywood. This supper club, opened in 1960, was a Rat Pack hangout that continues to attracts tons of locals after a recent decor and sound system update that refreshed the place while maintaining a swanky, 1960s vibe. Here you can enjoy dishes like risotto with wild mushrooms and English peas, or bananas foster bread pudding in the same room where Frank, Dino and Sammy dined and imbibed. Walk in Cary Grant's footsteps at Copley's, a top-rated restaurant and bar that was formerly a guesthouse on Grant's estate. The spacious courtyard is perfect for lounging, cocktail in hand, as you take in the fire pit's licking flames and the sun slowly setting over the San Jacinto Mountains. The ahi tacos and the Australian baramundi topped with crab and lemon aioli are particularly noteworthy. Though not a classic per se -- that title would go to the site's predecessor, Lyon's Englsh Grille -- Mr. Lyon's retains the glamour and style of a mid-century restaurant. Lyon's Englsh Grille opened in 1945 and was a favorite of celebrities and locals alike until shutting its doors in 2014. Mr. Lyon's, opened in 2015, has been beautifully updated but still retains a classic feel with its plush green-velvet booths and burnished woods, and a steakhouse menu that, while modern, includes throwbacks like Beef Wellington and a twice-baked potato. 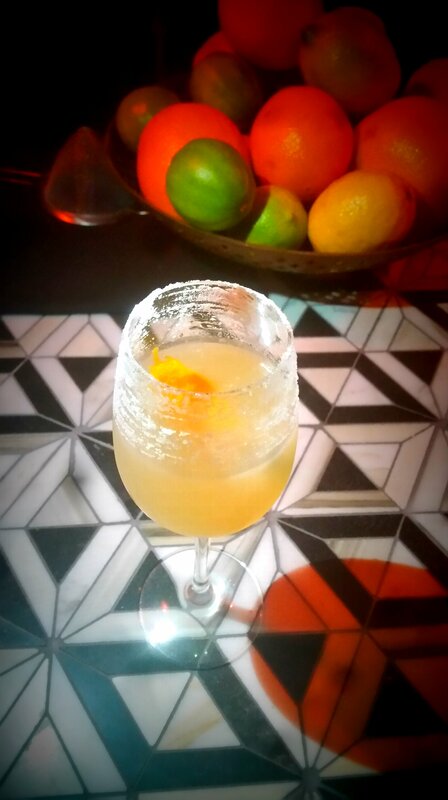 the geometric-pattern inlaid bar, a TV playing muted black-and-white Japanese movies from the 1950s, and elevated well-crafted cocktails like a bottled-on-site French 75, a Pineapple Tequila Sour, or the Bee's Knees. Feel free to step out to the back patio to play some bocce ball. Melvyn's is located in the Inglenook Inn, a hotel built in the 1920s that was a popular destination for Tinseltown luminaries like Clark Gable and Greta Garbo. Most famous for frequent visits from Frank Sinatra -- in fact, his face is imprinted on the bar napkins placed beneath your martini or old fashioned -- Melvyn's is a virtual homage to old-school Continental dining. The pace is leisurely, the service attentive, and you can still get Sinatra's favorite dish here, Steak Diane, prepared tableside. This is where you go for old-school dishes like trout almondine, chicken pot pie, and even more tableside preparation in the form of dessert: Cherries Jubilee, Bananas Flambé and Crepes Suzette. Though not quite of the classic era -- Wally's opened in 1978 -- this fine-dining establishment in Rancho Mirage hosted top stars of the classic era like Bob Hope, Sinatra, Carol Channing and more. Though the menu is mostly contemporary California cuisine, Wally's has retained some old-school restaurant customs you just don't see much of anymore, including silver service (during which the server transfers food to a guest's plate from the left with a silver fork and spoon) and weekly fashion-show luncheons, which were popular in the '50s and '60s. 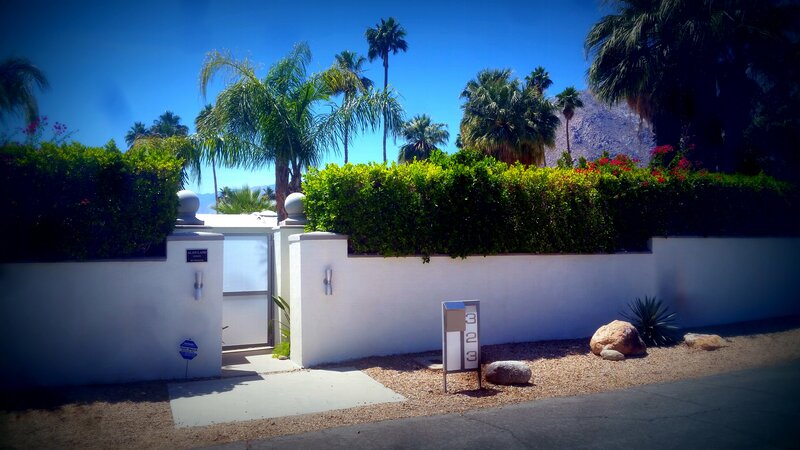 Palm Springs is known for its architecture, most notably its huge number of mid-century modern homes. See some of the city's most noteworthy homes, many of them owned by classic stars, during the Celebrity Homes Tour led by Desert Adventures Jeep Tours. The tour's first stop is outside Frank Sinatra's Twin Palms, located in the Movie Colony and named for the estate's pair of majestic palm trees. Sinatra lived in this striking mid-century modern house, completed in 1947, for seven years, eventually sharing it with his second wife, Ava Gardner. Here Frank hoisted a Jack Daniels flag in the afternoons to let his neighbors know it was cocktail time, fought with Ava, crooned with Dean Martin and Sammy Davis Jr., and played host to Hollywood luminaries including Marilyn Monroe, Lana Turner, Cary Grant and Bing Crosby. Frank allowed the exteriors of the house to be used in the 1950 Joan Crawford film The Damned Don't Cry. Also featured during this tour are homes that were owned or rented by Elizabeth Taylor, Elvis Presley, Debbie Reynolds, Kirk Douglas, Ann Miller, Katherine Hepburn and Spencer Tracy, Liberace and more. 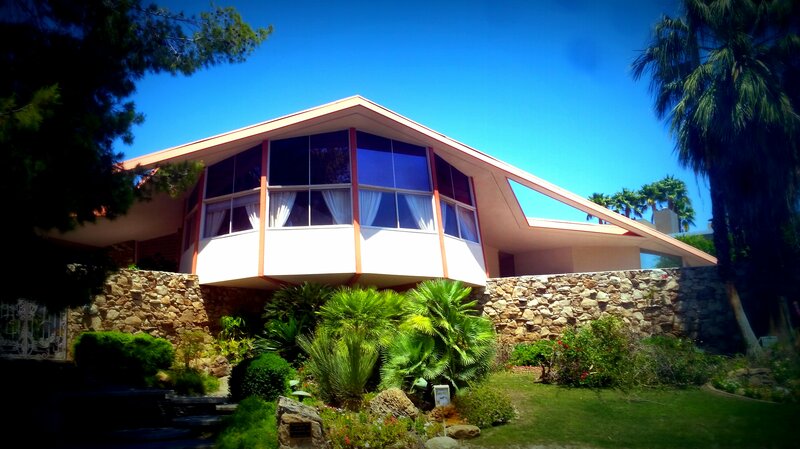 You'll see the batwing-roofed "house of tomorrow" where Elvis honeymooned with Priscilla, the iconic Donald Wexler that Dinah Shore called home that's now owned by Leonardo DiCaprio, and much more during this delightfully gossipy and informative tour. Click here for more info on Greater Palm Springs Restaurant Week.